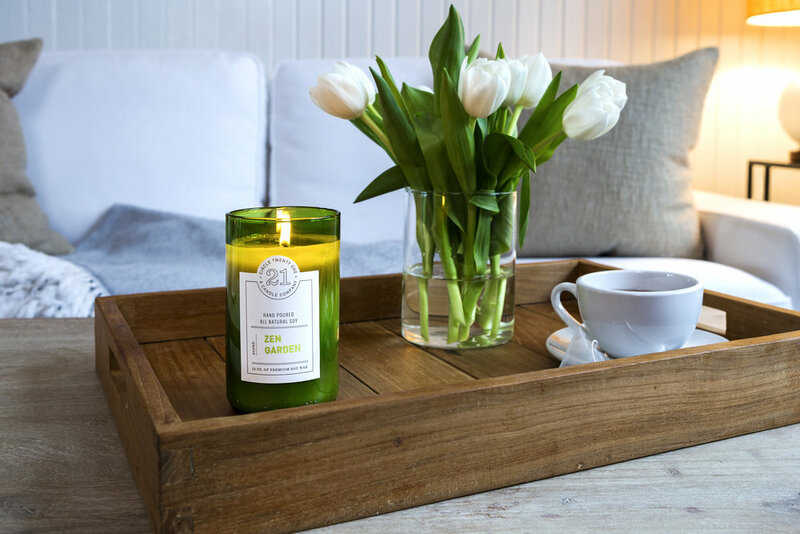 By carefully handpicking notes and blending each scent, our candles transport you to a favorite place or fondest memory. 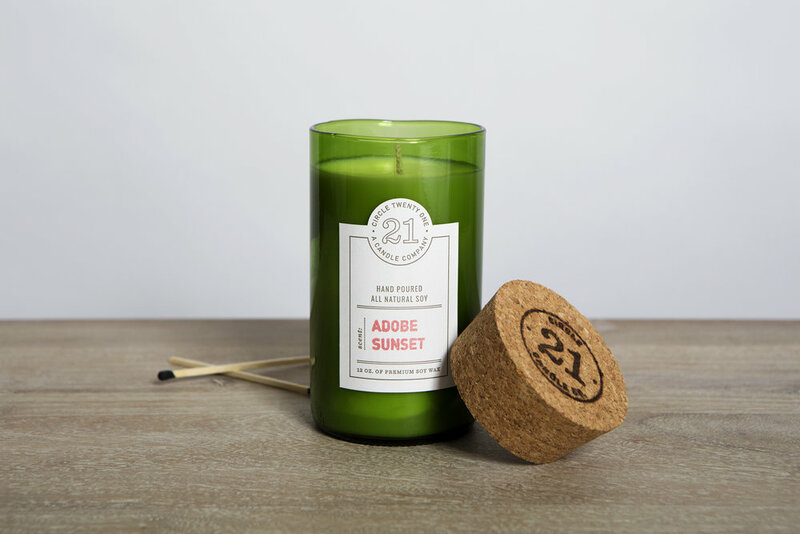 Handcrafted in Texas, Circle 21 candles are mindfully designed and perfectly poured to create a high-quality, natural product to be enjoyed by all. So come away with us—explore familiar places, remember forgotten moments, and get lost in the scents that have shaped these favorite memories. Each candle is hand poured over an all cotton wick into a recycled wine bottle. 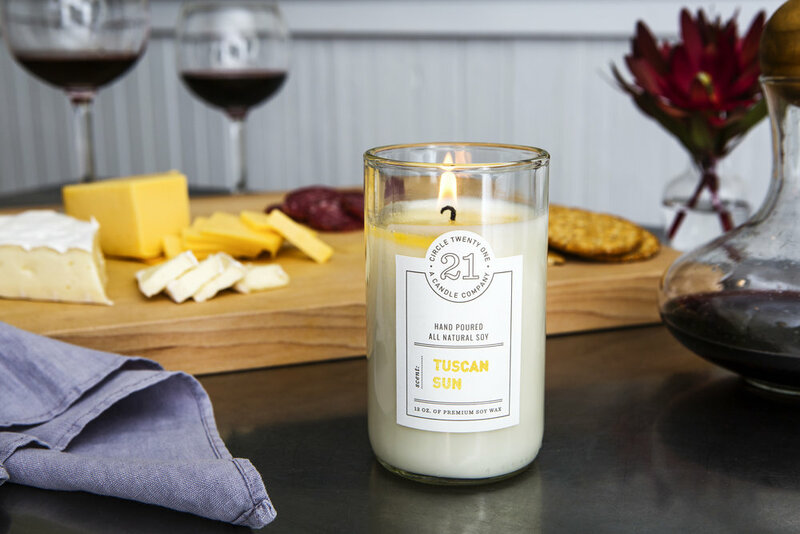 Letter pressed labels are hand stamped with scent name and each candle is topped with an oversized, hand branded cork. 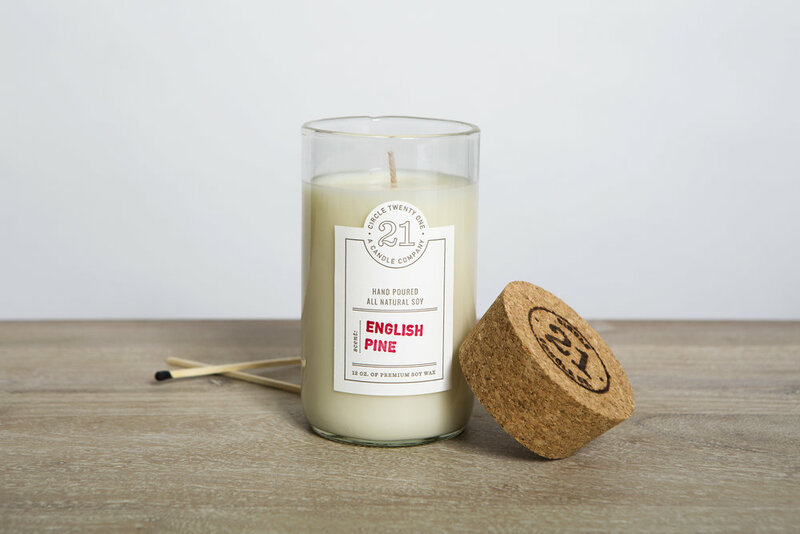 Circle 21 Candles is focused on clean burning, long lasting, fresh smelling candles, appropriate for all settings and occasions.